The Cylance® Partner Program offers award-winning products and a broad spectrum of consulting services built on advanced technology, which come with a wealth of support and benefits that help our partners succeed. Cylance’s unique patented product approach, leveraging artificial intelligence and combined with a lightweight endpoint agent, allows partners to generate high value and margin through strategic services. The result is a solution that does not require infrastructure, and predicts and prevents malware from day one, reducing the aperture of risk. 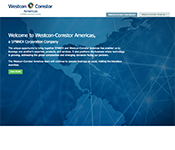 Partner completes and returns completed Deal Reg form to cylance@westcon-na.com. Westcon team enters info into Cylance Partner Portal. Once the Deal Reg is approved and pricing is provided to Westcon, our sales team will provide pricing to the partner. The Cylance Quantum Experience is an on-demand platform for live, high-level Cylance technology demonstrations. The Cylance Quantum Experience provides partner reps the immediate ability to show the value of Cylance’s prevention-first strategy to any prospect, at any time, via a global platform. The preconfigured, ready-to-go environments will help guide anyone through their journey to prevention by showing real-world attack scenarios, and demonstrating how Cylance’s prevention-first strategy works, all in only a few minutes. 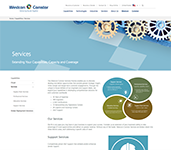 Be the Total Solution Provider Your Customers Want You To Be! Westcon Financial Services Inc. (WFS) was created to support and enable partner growth because we believe financing technology can be simple. As the demand to protect your business and assets against advanced threats continues to grow and the industry evolves, we will finance technology investments in a manner that maximizes businesses value while minimizing capital impact. The Cylance Axiom Alliances Program is a community of cybersecurity solution providers working together to deliver a prevention-first approach to security. Unlike other ecosystems built around the assumption of compromise, Axiom vendors are committed to using AI to continuously prevent adversaries from harming organizations by delivering added security controls. These ultimately minimize an organization’s attack surface, and enable swift action spanning the organization’s entire environment, whether it is on-premises, across IoT devices, or on a hosted or public cloud.